After cycling a couple of weeks on my own I met up with Alexander and Remi in Kirklareli. We had cycled together the eurovelo 6 and decided to share the road up to Istanbul. Our first idea of riding along the coast of the Black Sea seemed a bit to difficult and uncertain, not impossible, but when you ride a fully loaded bike, you think twice about taking that dirt road into the mountains. So we went from the coastal town Kiyiköy back inland passing through the city of Saray where we had lunch. A couple of kilometers after, our merry group got a bit separated so I stopped to regroup. And then the group became a bit larger. 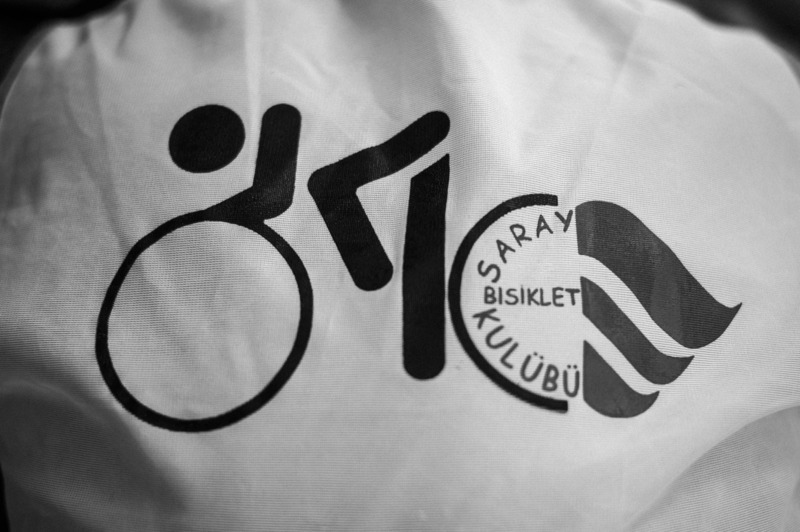 We met on that brief stop the members of the SBK-Saray Bisiklet Kulübü. They were coming back from one of their weekly bike trips and saw us on the road. They approached us and they were very kind to invite us to drink some çay (Turkish tea) and eat some ekmek (bread) with fresh cheese. Mehmet (one of the club members), spoke english and served as the groups translator. The questions they asked us have become so common now, but at that moment it helped to put my trip in perspective again. How old are you? really!!!! Isn’t it very hard to travel carrying all that weight? Do you have sponsors? How do you pay for this trip? Do you like our country? Have you had any problems or dangerous encounters (dogs included)? Our brief encounter came to an end and our ways parted. Short, but oh so memorable! !